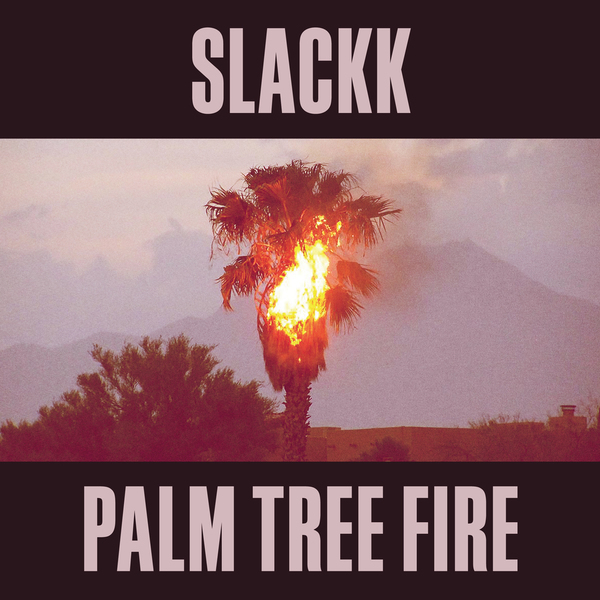 Slackk triggers one of *the* albums of 2014 with his debut LP 'Palm Tree Fire' for Local Action. Requiring little introduction around here, Slackk has been a steadfast lynchpin for grime for nigh on a decade now. From running the invaluable grimetapes source back in the day, thru his pivotal hybrid productions for Numbers and latterly Local Action, and not to mention his innumerable radio slots and club sets, most crucially at the Boxed events, founded in 2013 as an incubator for new, instrumental talent which has more than proved its worth. Basically the guy's a don in the truest sense of the word. Anyway, nuff hagiography; onto the album. 'Palm Tree Fire' is definitely the broadest, and possibly most personal insight into his unique take on instrumental grime. It's an often heart-rending, near psychedelic (how often can you say that about grime‽) distillation of myriad sub-genres - Eski, Sino, UKF, Soca, R&G - executed with a mercurial road/folk soul and inherently accelerationist rhetoric. Removed from the immediate need to drive a club, his mind wanders brilliantly across 16 tracks of melting square waves, piquant Oriental hooks and chimeric rhythms - equal parts serpentine and feathered. Most crucially tho, the fluidity and space of Slackk's music really gets us, replacing grime's glottal punctuation with a distinguished accent all of his own imagination, and conveying a much broader, finer spectrum of feelings in the process. If you're still with us, we can't recommend this album any higher to open-eared listeners of all stripes.